Home › #cdnpoli | (Some of) The Leaders Talk › Billions promised for transit-building, but will public money be misspent? Billions promised for transit-building, but will public money be misspent? Canada’s engineering and construction industry has been under a cloud of controversy during the last decade. Several former executives of Montreal-based SNC-Lavalin have been charged with bribery and the company was temporarily banned from World Bank-funded projects. See my story here. Montreal is also the site of the Charbonneau Commission of Inquiry on the Awarding and Management of Public Contracts in the Construction Industry, probing corruption in Quebec. By some estimates, global corruption is a bigger problem than terrorism. 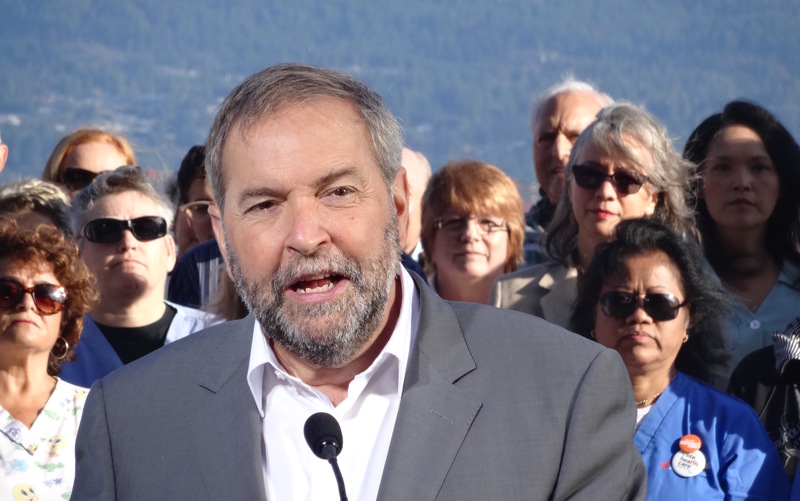 At campaign stops in Vancouver in September, I asked Liberal leader Justin Trudeau and NDP leader Tom Mulcair whether their promises to spend billions of dollars on transit projects, like the proposed Broadway subway and Surrey LRT, could jeopardize public finances and divert funds from healthcare and the environment without enacting new controls to prevent the possibility of cost overruns and corruption. Neither Trudeau nor Mulcair outlined any specific plans to safeguard Canadians from the potential downside of their promised spending sprees. Here are excerpts from what they had to say. “The federal government shouldn’t be in the business of picking or choosing projects or micro-managing bids. The federal government needs to be in the business of being a real partner putting money on the table so provinces and municipalities can get the infrastructure that Canadians need to be more productive and have a better quality of life built. “I think that you’re raising such an important question that deserves a full answer. Anything our government does is going to be open and transparent and that’s the approach I’ve always taken, in my time around the cabinet table, when I was a minister we didn’t have to fight every step of the way to try to keep things secret, we put as much as we could above board and open that we posted. That’s the same approach I take. I had to fight against the government and with Kevin Page for him to get the information he was allowed to get as Parliamentary Budget Officer. “It’s an overarching obligation every government has to be open and transparent. The point that we’re trying to make is we have a long-term plan, as opposed to Justin Trudeau’s short-term thinking. His short-term thinking sees him spending tens of billions of dollars more per year but only for a few years and then a black hole. A sudden blip. No plan or explanation of how he’s going to do that. 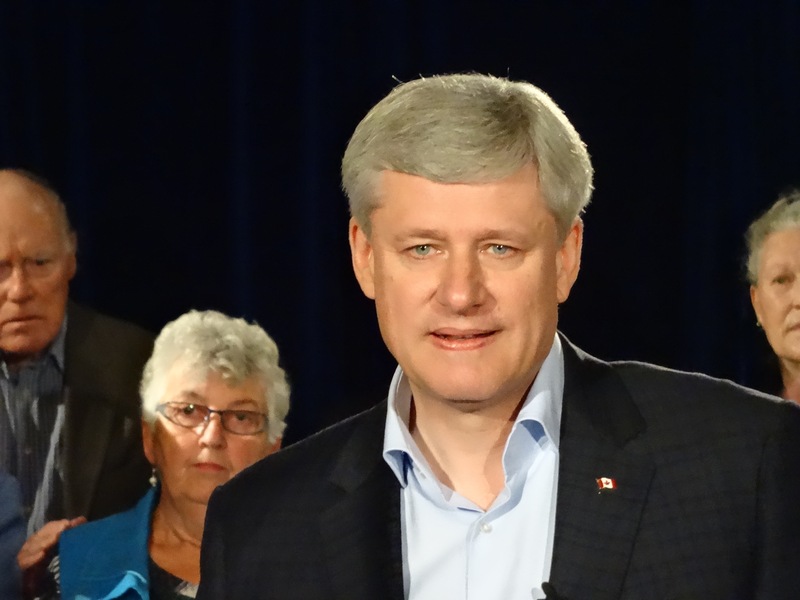 What did Conservative leader Stephen Harper have to say? 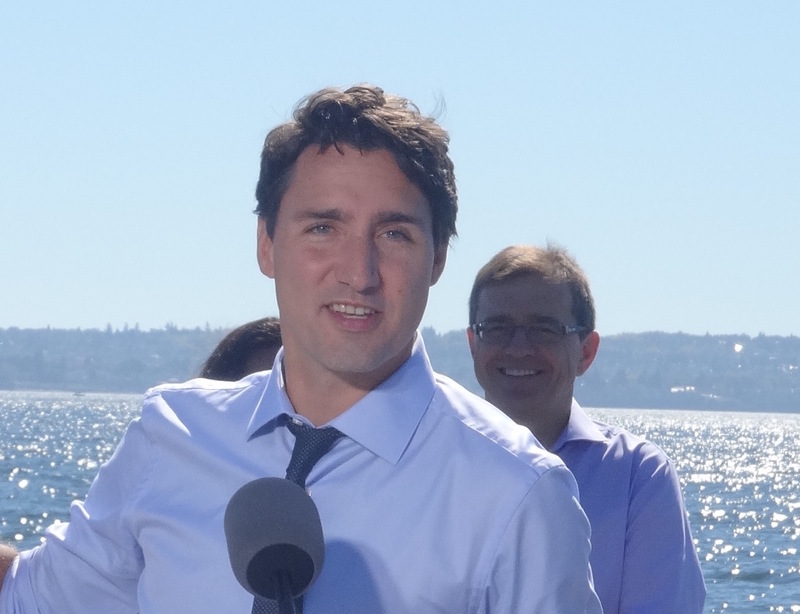 The Prime Minister appeared in North Vancouver at Ice Sports on Sept. 15. I wanted to ask him the same question. His campaign staff refused me the opportunity, on account of the party’s strict quota of four questions allotted to major national media outlets and one for a pre-selected local outlet. I grilled his spokesman Kory Teneycke about Harper’s communications control after the event (watch the video; in case you’re wondering, yes that is Nardwuar the Human Serviette in the background. He convinced Trudeau and Mulcair to do the hip flip, but he couldn’t convince Harper’s staff to let him politely ask the PM. Nardwuar has caused politicians to embarrass themselves, such as Jean Chretien in 1997). Of stolen signs and destroyed displays | Why is ex-Liberal MP Raymond Chan running away from a reporter?